We have a great selection of various types, sizes and shapes of lightbulbs. Our light bulbs can be used to decorate your light fixture or as a statement piece by itself in a form of naked lightbulb pendant. Get creative with your lighting ideas! 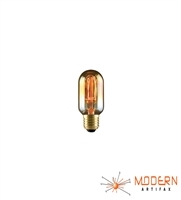 These Edison style Light Bulbs are perfect for giving an authentic vintage look to your lamp. Their soft glow creates a pleasant warm ambiance. These light bulbs will add the unique style to any fixture: chandeliers, candelabras, wall sconces, pendants, outdoor lighting and more. 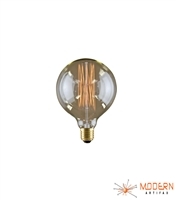 Our Edison Marconi Style Light bulbs have very industrial look. The Tungsten filament of these bulbs emits amber glow and warmth that creates a perfect mood. It will add a tasteful touch to any light fixture: chandeliers, candelabras, wall sconces, pendants and more. We love these Edison style Globe Light bulbs. The Tungsten filaments of these bulbs emit amber glow and warmth that creates a perfect mood and gives the character to any room. It will add vintage look to any fixture: chandeliers, candelabras, wall sconces, pendants and more.